I do find it interesting that Sandra Miesel wrote an essay about the works of Poul Anderson with the title "Challenge and Response." I don't have my copy of Toynbee's Outline of History handy, but I do recall that I thought he was being rather dodgy about defining what a "civilization" was. He considers Islam to be a continuation of Seleucid civilization -- something which Spengler also does because otherwise Islam seems to skip directly from the founding stages to decline. But later on Toynbee seems willing to consider the pre-Civil War American South a different "civilization" from the North. I could buy a definition which lumps Islam and Persia, or one which splits Boston and Richmond, but not one which does both. Nyrath - not coincidental, I'm sure. Anderson's future history, the one with van Rijn and apparently much later Flandry, seemed to have a more than one cycle of rising and falling. Cambias - yes, Toynbee was slippery about what a civilization was. The premise was sort of "I know one when I see one," which gives plenty of scope for seeing what you want to see. I never knew he distinguished the South as a separate civilization (! ), but your're right that he can be pretty inconsistant. I'm not sure we can answer the question of our own "Fall" - bearing in mind generational conceit that figures our times are momentous because we live in them. much a cut-and-paste of Toynbee onto the future. Bernita - yes; we always think we live in both the best of times and the worst of times. Nyrath - I'm not sure I've ever seen a timeline for Anderson's future history, but what I remember of it fits pretty well. Somewhere I've seen that Anderson explicitly started modeling his Technic Civilization on a modification of Toynbee, after the person who created this variant showed Anderson how well the existing stories fit it already. In _A Knight of Ghosts & Shadows_ there is a conversation between Chunderban Desai (from _The Day of Their Return) & Dominic Flandry in which Desai explains the pattern. I will also note that the backstory in Vinge's _A Deepness in the Sky_ has high civilization in any solar system last at most a few millennia . The assumption is that there are many ways to trash your civilization & the odds are that eventually you will trip over one of them. Ie: the challenge has not been successfully met. Further note: The thing that almost convinces me that Toynbee was onto *something* is the parallels in the history of China & the Mediterranean region with China doing everything about 200 years before Rome. The 'Warring States period' in China paralleling the period between Alexander & Caesar. The time from unification to barbarian invasion is about the same & in both cases a religion with outside influences becomes important. Christianity with its Jewish roots dominating Romano-Greek society & Buddhism from India becoming important in China. Jim - I did not know about the meta history, so to speak, of Andersen's future history. Vinge's premise resembles one used, on a shorter time scale, by Ken Burnside in his space game ATTACK VECTOR. (Link via my old links page.) 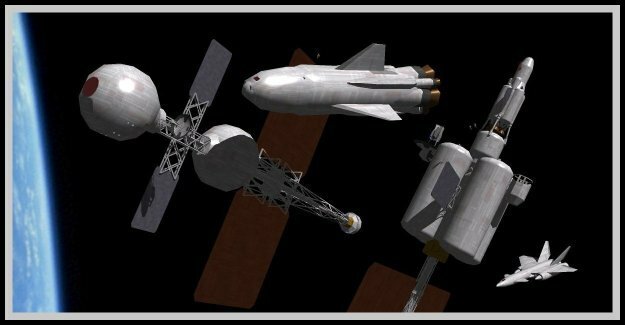 Independent space habitats only survive 3 generations on average, thus the 3-gen rule, before collapsing or coming under external control. Basically because it random walks into cascading mismanagement. The 200 year skew between classical Chinese and Mediterranean history is intriguing. But the epilogue is quite different, because the Chinese empire never really fell, in the familiar-to-the-West sense. I'm going to admit; before reading these comments the only thing I knew Toynbee from was the Toynbee tiles. Which I only learned about when I googled to see if there was anything interesting about him online.